Confused about the variety of so called "smart baby toys"? 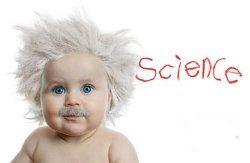 Want your child to be smart, achieve well in school, get a scholarship for college and even may become a scientist. When your child is born the portion of his brain that is concerned with basic functions such as breathing, eating and such functions is already developed. But there are millions of brain cells that are still waiting for its turn to develop; those are the ones concerned with thinking, memory, intelligence and other higher functions. It is during the first 5 years of life that these brain cells connect and develop and it is those 5 years who will have a life long impact on your child. So let us review some of these smart baby tools and tell you what you need to be doing. There are a lot of videos nowadays that claim they will increase your baby's intelligence, that they will educate him in a far advanced way and that they use modern tools. Some researches were done and found out that there is no relation between those programs and increasing intelligence and in fact they could lead to slow word learning. The interaction between the caregiver and the child, the emotional bond he gets while been taught is actually what helps his brain cells to develop. When your child spends his teaching hours in front of TV he misses the human interactions and emotional intelligence that he truly needs. Not only that but also we are building him to be a passive learner this way. When you play with your child, talk to him and pay attention to what interest him you are increasing his emotional and social intelligence as well, when he is engaged in the teaching operation his imagination and curiosity increase as well. By 9 months we can introduce shape sorting toys, blocks. How about some activities that you can do at home that can help his development? From 4 to 6 months: Play with stuffed animals, Play with plastic blocks and let your baby knock them down; Play with musical instruments or toys, Read to him from books that have bright colors or books that has different textural material inside. From 6months to 18 months: Talk to your child to increase connections between sounds and words, Repeat names of family members and familiar objects, sing songs with repetitive verses and hand motions. From 18months to 24 months: Play recognition games when outdoor, ask him to give you objects that he know their names, Talk to your child as much as you can, Introduce writing objects, encourage independent playing with favorite toys. From 24 months to 36 months: Praise your child for his motor skills development, Boost his imagination by suggesting new ways to play with toys, Introduce ‘real life’ games; like pretending to talk on the phone, drive a car, Incorporate him in story telling by asking questions, point to words as you read them. As he grows older: offer choices for what to play with (book or puzzle). Limit the use of the word NO. Encourage exploration. Give him attention and respect. Be patient when he tells you about his new experience. Make time everyday for your child to talk about his day and his experiences. How to supercharge your child's intelligence? When can we begin taking our kid to the cinema?